TI Russia to monitor state corporations’ compliance with corruption policies | Russian Legal Information Agency (RAPSI). MOSCOW, October 21 (RAPSI) – In 2011, Transparency International Russia will verify the effectiveness of anti-corruption measures carried out by all Russian state-run corporations, Transparency rep Yelena Panfilova said Friday at a meeting with journalists at the RIA Novosti news agency. 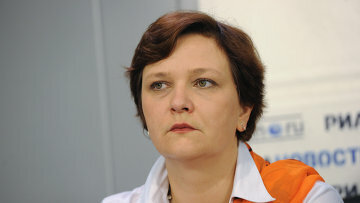 “In 2011, we plan to audit all Russian state corporations for corruption in their economic activities,” Panfilova said. During their meeting with journalists, senior officials of Transparency International Russia presented their report on corruption at Rosatom State Nuclear Energy Corporation. This was the second review following a 2010 report, and it was based on an analysis of procurement documents published on the corporation’s website. Panfilova emphasized that the survey covered only those procurement activities of Rosatom which do not include the purchase of secret equipment. “We did not analyze nuclear purchases that are classified as state secrets; we focused on purchases made on open markets, and found major violations there,” Panfilova said. Yulia Tkachyova, project manager at Transparency International Russia, said that they randomly chose 600 purchases made by Rosatom for their analysis. Based on the violations identified, Transparency issued a list of recommendations. “Our list includes many issues, including improvements to regulatory procedures involved in choosing procurement methods, creating an unbiased frameworks to regulate starting auction prices, developing tools to make auctions more competitive, and enhancing transparency,” Tkachyova said. Panfilova stressed that Rosatom’s senior executives accepted their recommendations and promised to review them. Ivan Ninenko, deputy head of Transparency International Russia, noted that state corporations are not subject to oversight by the Federal Antimonopoly Service. “Under the law, they can be monitored exclusively by their own internal bodies, which is not an effective system,” he says. Ninenko noted that the expected privatization of state corporations may improve the situation, if it’s carried out as planned. “It’s already unclear if the privatization of state corporations will take place any time soon, since it’s a complicated thing to do even from a legal standpoint,” he said. Tkachyova, who is in charge of analyzing state corporations’ activities, is confident that the plan to establish a public oversight system will be successfully implemented. She said that regulations obligating state corporations to adopt their own anti-corruption standards and publish them in open sources will become effective on January 1, 2012. The scope of activities carried out by state corporations in Russia is so vast that even minor adjustments in corruption-prone areas may yield huge dividends, says Panfilova.